I have never been good about remembering to buy condiments and accompaniments for my dishes. Many times I will come home from the supermarket and get groans from my husband because I have forgotten the coleslaw for the hotdogs or the salsa for the tacos. Recently, I have been trying to make things from scratch, but haven't had much luck finding any good salsa recipes. 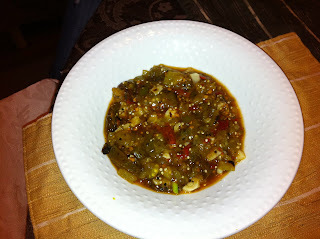 When I received my May issue of Martha Stewart Living I was pleased to find a recipe for tomatillo and chipotle salsa. If I had known how easy salsa was to make before this recipe, I would never have purchased store bought. With only 4 ingredients, the prep work is next-to-nothing and the total time is far less than the hour suggested. All the ingredients were easily found at my local supermarket, which, much to my delight, recently expanded their fresh produce section and now carries tomatillos. I used frozen chipotle chiles from my freezer leftover from previous recipes and used slightly more than the suggested 4. The resulting salsa was a bit on the spicy side, but made a great topping to the Spicy Shrimp Quesadillas from one of my earlier blog posts. This recipe was very simple and quick to put together. My husband really enjoyed it, it was too spicy for my children. 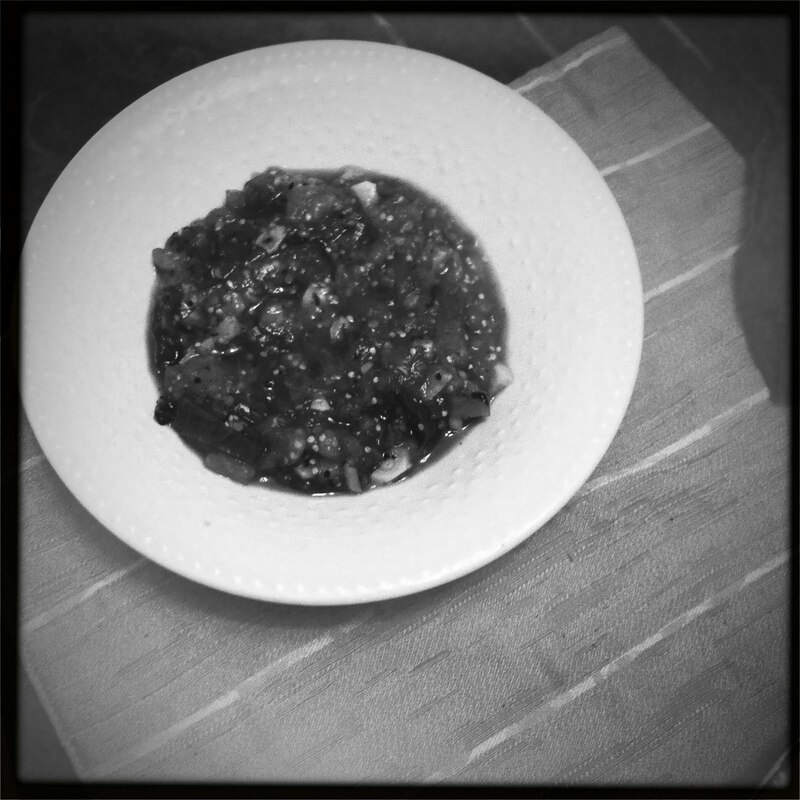 After following this recipe I will definitely make my own salsa in the future. Martha Stewart Living does not currently have this recipe on its website, but it can be found in the May 2011 issue of the magazine. What a great recipe! My roommate and I are always looking for delicious things to try and I think I'm going to try this when it's my turn to cook next! Thanks so much for sharing - I already bookmarked it and can't wait to try! @Sarah, I don't have the actual recipe listed (I try to respect intellectual property rights) but if you email me I will give you the exact amounts, there are only four ingredients, so it's super basic! Happy Thursday and I'm following you back! That looks delicious! I might try canning this year. My mom always had a huge garden and cans all the time. We will see. I am not much of a cook but this looks delicious! Will have to try this out! I love Martha! Thanks for thr lovely comment on my blog. I hope you will like all the future post!